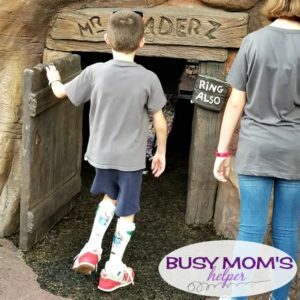 During the course of your busy day running all around Disney Parks, you will likely need a break for at least someone in your party (such as an exhausted toddler or worn out spouse). The park gets hot and crowded, not to mention all that walking tends to wear you down. If your day is getting not so fun, consider taking a short break in one of these 5 Best Places to Rest in Magic Kingdom! At the base of the Swiss family Treehouse there are benches in the shade that most people are too busy to notice as they run into Adventureland. That’s alright, because that makes it a great place to take a break in Magic Kingdom. In addition to the shaded benches the area is also close to Sunshine Tree Terrace, so it’s a convenient place to enjoy a Citrus Swirl as well. There are plenty of other food kiosks in the park that have available seating, but they’re either too popular or lack the same quality scenery. Well, next to anyway. There’s a large tent in Dumbo’s Storybook Circus that serves no other purpose right now than as a place to take a break in Magic Kingdom. The open space is completely shaded and there are plenty of chairs for sitting. This is a great location because it’s near the back of the park and more or less in the center. It’s a convenient place to catch your breath at a point where you may need the break. I love this solution when I’m feeling worn out and need to take a break in Magic Kingdom. A slow scenic float around the rivers of America is great for recharging my batteries. This is just like taking a break in a bench except the scenery moves, and sometimes you can get a nice breeze. The Walt Disney World Railroad is also a relaxing choice, however, for the scenery it is not nearly as good as the riverboat. One advantage to taking the train, however is that it can drop you at the other side of the park and you don’t have to walk. Another way you can take a break in Magic Kingdom while crossing some attractions off your to do list is to take in a show. If you plot your day right you can do several shows in a short time. The shows are continuously running, which means short but relaxing waits, followed by a relaxing show in an air conditioned space. The Enchanted Tiki Room and The Country Bear Jamboree are in close proximity and not far from them is the Hall of Presidents. I know, not everyone’s absolute favorite (but it’s a classic, come on! ), but it’s so nice to rest in a smooth boat ride full of music and fun displays to entertain you. Plus, another ride checked off the list while you rest your tired feet – bonus! If you want to grab some refreshments and have an indoor break Columbia Harbor House will serve nicely. This is a counter service restaurant near the Haunted Mansion in Liberty Square. If you go upstairs you will find plenty of seating. This is a relatively quiet place to enjoy a meal in comfort and regroup before heading back out to finish the rest of your day in the Magic Kingdom. There are other quick service eateries around Magic Kingdom as well, but this is the most peaceful and relaxing location for now. Where’s your favorite place to rest in Magic Kingdom? What are the hottest items at Walt Disney World right now? Some souvenirs have become very popular among guests, and since Disney has taken notice of social media, they’re becoming very good at perpetuating trends involving their most popular merchandise. Disney’s obscure men’s fashion line Twenty Eight and Main has floundered, while Cherry Tree Lane dresses and Dooney and Bourke designer purses fly off the shelves. Pineapple Dole Whips can be found on nearly every form of merchandise due to their status as a Walt Disney World icon (now I’m craving one!). To give you some ideas on the current favs, here are 5 Trending Walt Disney World Souvenirs to look for on your next vacation. Ever since these became available at Pandora Land at Disney’s Animal Kingdom park, people have loved being able to ‘adopt’ their own Banshee. My boys saved up for many months before our trip to get one to share, and love it! They can roar, flap their wings and turn their head according to your controls. With all the various colors and patterns, it’s fun visiting the little Banshee nursery at the shop in Pandora to pick out your very own. Spirit Jerseys have been a trend for a while, and they aren’t going away anytime soon. They’ve been popular at least as far back as the rose gold hysteria, but where rose is now staying on the rack with the rest of the merchandise, the jerseys are remaining relevant with new colors and character designs coming out all the time. This is a hot clothing item that continues to sell. No matter when you go to Disney World, there’s a festival. It used to be a way to get more guests in during the slow season, but festivals at Epcot are so popular, they keep adding new ones throughout the year. After Hours parties are also increasingly popular, with new dates added to seasonal parties at Magic Kingdom every year. These festivals and parties are also big merchandising events with exclusive souvenirs unique to your time of stay. They’re some of the biggest trending Disney World souvenirs you’ll find! Personally, we loved the glow cubes and fun cups we got during the Food & Wine Festival. Attractions based merchandise isn’t a rarity in the parks – all the best rides have exits that spill directly into a gift shop. There has been a fair amount of homogenization over the last several years though, and a lot of the shops have similar product. Interestingly, the hottest trending attraction merchandise isn’t actually from one of these stores. Yes, Haunted Mansion, does have it’s own themed gift shop, Memento Mori, but it isn’t at the exit of the ride. It is, however, exclusively Haunted Mansion themed and there is a wide range of product to choose from. The popular attraction is also featured in the World of Disney Store and other general Disney themed stores. Mickey and Minnie Ears have always been a pretty solid seller at the Disney Parks, and Minnie Ears in particular have exploded as one of the top trending Disney World souvenirs. Rose gold might be out, but guests are still flocking to pick up the newest models. Now there’s a mix and match option that makes these iconic accessories even more irresistible! The collectibility and interchangeability has them nearly approaching pin status. Souvenir mugs have been a thing for as far back as I can remember, but never have they been more pervasive or more collectible – you can get different themes everywhere you go! They’re not just for kids either, as adults go crazy for the collectible souvenir cups at places like Trader Sam’s Grog Grotto and Jock Lindsey’s Hangar Bar, or even the big mug at Gaston’s Tavern. Which Disney World souvenir is your favorite? Staying at a Disney World resort comes with a variety of benefits. These advantages all but guarantee you won’t slip off to somewhere else during your trip. If you plan on leaving for other parks in Orlando, then you may not want to stay at a Disney resort – but the ease of staying on property will deter you from doing anything else! For the all encompassing Disney experience you can’t get anywhere else, it’s got to be a Disney World resort hotel. Here are 5 Perks to Disney World Resorts that can really make your vacation extra magical. Right out the arrivals gate, you have an immediate benefit to staying at a Disney World resort – you don’t have to go to baggage claim to pick up your luggage. It’s automatically taken to your hotel for you! You just need to go straight to the Magical Express area and check in, then they will assign you a coach that takes you straight to Disney World and drops you off at your resort free of charge. When it’s time to leave, the Magical Express coach picks you up to take you back to the airport. You will be sent a complimentary Magic Band for use during vacation. The Magic Band is like a skeleton key, used for everything from getting into your room, to park admission, to buying virtually anything on property. Every purchase you make with a magic band gets charged to your room. Those unfamiliar with magic bands express concern about how easy it is to spend money. It always comes up in conversations as a negative – however, I love the convenience, and can tell you that every time I’ve used the magic band to charge to my room throughout a trip, I wound up spending less than I thought I was. Magic bands are also used for Fastpasses and personalized greetings, which are sure to become more developed in the near future. This might be the one thing above everything else that you will absolutely love. You can get anywhere in Disney World for free by bus, boat, or monorail. The variety of options depends on where you stay, but you don’t have to rent a car, deal with traffic, or pay for parking. The bus network is extensive and very convenient. There are a lot of lakes in Disney World, so boats are quite useful in getting around in certain parts. The two monorail systems and the upcoming Skyliner system add to the convenience of getting around the most heavily trafficked areas. When you’re a guest at a Disney World resort, you have privileges in the form of advanced reservations. You get to select Fastpasses 30 days sooner than non resort guests – meaning you have a much better chance of securing your top choices in each of the parks! You also get a 180 day advance window for dining reservations. If you are dying to eat at one of the most popular restaurants, this window can make or break your chances of getting a table. You can add a little magic to your stay at a Disney World resort that you could not do otherwise. Disney offers a variety of packages called ‘in room celebrations’. 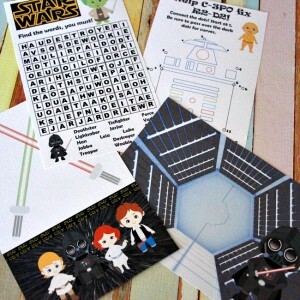 They come in the forms of different packages and baskets containing a variety of themed treats depending on what you want to celebrate. This is a really fun indulgence on special occasions and you can only do it at one of the Disney World resort hotels. Keep in mind they do cost extra, but can really sprinkle a bit of extra pixie dust on your trip. Which Disney Resort is your favorite? After nearly 5 years after it was initially introduced, there are still common misconceptions about Fastpass+. 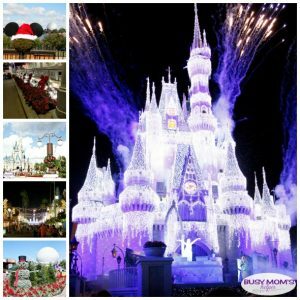 There is more to know now than ever before when it comes to planning a Disney World vacation, and a lot of work has to go into planning a Disney trip in order to have that seamless experience that a lot of the technology provides. It’s important to have the right information – to help, here are Disney World FastPass+ Myths People Still Believe. I can speculate where this comes from. Disneyland now has something called Maxpass that you do pay a premium for. Perhaps there is just the general assumption that the plus implies a premium? In any case, it’s not true. FastPass+ is free and any park guest can use it. Its called Fastpass+ because it is a ‘plussed up’ version of the original Fastpass concept. People believe that scheduling windows of time in advance to be at a specific attraction is too inflexible. I understand the logic behind it, but when so much planning goes into a Disney World trip, there isn’t much room for that kind of flexibility – at least not the entire time. To be factual, FastPass+ offers more flexibility than Fastpass did. Under the old system you couldn’t choose when to return to the Fastpass queue. Now, you still have complete control over planning your day, you just need to plan well. If you decide not to use a FastPass, you can cancel it and make another selection (of ones that are still available), so flexibility is not a problem. It’s true that in making your initial Fastpass selections you are allowed only three. However, after using those three, you can keep grabbing FastPasses (one at a time) to your heart’s content – or until they’ve run out for the day. You just have to use one or cancel it, before you can select a new one. The second half of your day can feel like a wild scavenger hunt as you find new attractions with availability. Otherwise, you can just take it easy and see what plays into your plans. This myth may be tied to the belief that you only get three per day. The three you are allowed to select in advance DO have to be at one park. However, you can still park hop and you can use Fastpass+ at the other parks for your selections after those first 3 are used. It just follows the case by case system. It’s no different than if you had stayed in your original park. This might be another reason some people think you have to pay for Fastpass+. Because MagicBand makes Fastpass+ (among other things) so convenient, people sometimes confuse the two as being the same thing. Since MagicBands are only free to Disney resort guests, park guests who stay off property might think they’ve missed out, unless they buy the band. The truth is that MagicBands aren’t the only way to use Fastpass+. If you have a park ticket, you can use that for your Fastpasses instead. If you are staying off property, you have less advance opportunity to select Fastpasses, but you do still have that capability. What ride is your top choice for FastPass+? 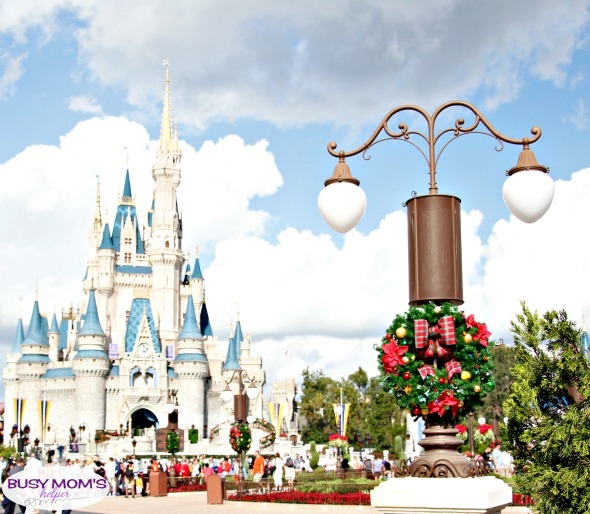 If you look ahead for the best times to plan your Disney World vacation, there are definitely considerations you need to make because some months are going to turn out better for you than others. Unfortunately, in many cases, the most practical times to visit Disney World are also the most crowded. If you don’t have much room within your schedule, then please don’t worry about going at the wrong time of the year because you’ll still have a great time, just maybe more waits and crowds. But if you have a fair amount of options, some months will do better for you than others. Looking at everything going on, here’s our thoughts on the Best & Worst Months to Visit Disney World in 2019. In terms of lower attendance, the best months for visiting Disney World are January, February and March. Things get busy after that until late august. September and October are also good months for beating attendance (we usually aim for early September because school just started – one of the benefits to homeschooling. November and December are usually good too, if you stay away from the holiday weeks. However, during those times there is more to offer in terms of Holiday entertainment and festive decoration. There will also be additional tickets sold for holiday parties, which are limited in attendance. That could make November and December two of the best – or at least most exciting and magical – months as you determine when visit Disney World 2019. The biggest draw to Disney World in 2019 will be Star Wars Land which is set to open in late fall 2019 (eeeeek, can’t wait!). That’s one more reason to plan your trip for November or December. Although, if this is not a draw for you, you can beat the crowds by visiting in late summer instead. In terms of crowds alone, you will do best to avoid any major holidays and months where children are out of school. The end of 2019 will be exceptionally crowded because of the new Star Wars Land in Hollywood Studios. Also, from May to Mid August there is going to be higher attendance due to school letting out and more vacationing families. On the other hand, with the new attractions coming out, you may not want to miss upcoming opportunities and be more willing to wait in longer lines (here’s our tips for avoiding more lines!). In addition to the late fall 2019 opening of Star Wars Land, Mickey and Minnie’s Runaway Railway is opening in May 2019. If you don’t want to miss out on this major attraction, you should avoid planning your trip for January through May. If weather is a factor for you, you must remember how hot and how humid central Florida gets in the summer, as well. The summer months can have brutal heat, and are also notorious for stormy weather. While you can certainly prepare beforehand, this may be a poor example of when to visit Disney World 2019. After summer, the season for thunderstorms gives way to hurricane season, which usually does not affect the parks in terms of operations, but occasionally it does. You may prefer to avoid September or October if there is a serious threat or you don’t want the risk of interrupted travel and vacation time. On the other hand, if you already live nearby and there is a hurricane warning in your area, Disney World is actually a very safe place to evacuate to. When do you prefer to visit Disney World? Remember how I said I was thrilled to make a visit to Orlando to experience all four Disney parks last week? Well, it may have been a super-rushed trip, but I was determined to fit in as much as I could – and today I’m sharing all the fun, festive happenings (and treat-enings – get it?) that occur during the Christmas Holidays at Walt Disney World! Book your Disney vacation HERE for the best prices! Use Promo Code: BusyMomsHelper for extra savings! When people look to visit Disney World during Christmastime, they often only think about Mickey’s Very Merry Christmas Party (you can read my recap of that HERE). It’s very similar in idea as the Not-So-Scary Halloween party, with complimentary treats (cookies, chocolates, pretzels) and drinks (eggnog, cider, cocoa, sno-cones) instead of trick-or-treating, and of course more holiday themed. While I admit this is a HUGE draw for guests, and definitely worth going to if you can swing the price tag, it’s not the only reason you should experience the Christmas holidays at Walt Disney World. Outside of the party, there’s tons of decorations everywhere – from the garlands, bows and lights that adorn most entries and poles, to the red and white poinsettias adorning gardens and baskets. There’s even lights, wreaths and bells adding to the atmosphere, and even many of the snack carts are feeling that holiday cheer. Once you get through the ticket entrance, the area right before the train station is a giant red poinsettia Mickey ornament – perfect for a holiday family photo! Go to the right or left and through the entry archways, and you’ll emerge to see a GINORMOUS Christmas tree, surrounded by large gifts and toy soldiers! Many of the cast members wear holiday-themed outfits and/or Santa hats, and you can even see some of your favorite characters dressed up with a little more Christmas/winter to their outfits, which makes for some extra special meet-and-greet photos. There’s also an area for Santa – check out the schedule for times when you’re there! Don’t forget to make a stop by the ‘Jingle Cruise’ as well – even the boats are fun holiday-themed names, the skippers wear Santa hats, and the whole que & ride are dressed up for the occasion! Some snack locations have seasonal treats that are definitely worth a try, so either check your program or – even better – ask a cast member and they can lead you the right direction! Be sure to contact Michael’s VIPs for their wonderful tour guide services, especially as the holidays can be extra crowded & you want the best trip possible! With the exception of a few spots (near Star Tours), Hollywood Studios was decorated as much as – or perhaps a little more – than Magic Kingdom. Bright stars from Christmas lights that changed color, wreaths, bells and classic-looking signs featuring Santa, reindeer and more, plus Echo Lake had HUGE ornaments floating in it! The dinosaur even had on a fun Santa hat, and some displays of statue deer and such helped add to the whole feel. In the evening, there’s the Seasons Greetings show (that may repeat a couple of times, I wasn’t quite sure exactly) over by the Tower of Terror. Along the street leading up to that area are two screens that show a mini video clip, then a great display is projected onto the Tower of Terror with music to match the little clip you just saw. They had the Muppet Chef Guy (I know, I should remember his name, but I can’t) that built a Gingerbread house on the movie clip, then the Tower showed a huge creation out of gingerbread to playful music. Olaf’s clip was finding a holiday tradition, then the song played along with images of traditions and such. Even Toy Story got in on the fun, making it the Hollywood Toyland Hotel! I thought this show was INCREDIBLE, and would’ve loved to show my kids! The lights along that street switch around depending on which clip is playing, and ‘snow’ is pumped out, so it’s like a magical snowfall all down the street. That snow continued almost the entire evening it seemed! On the Chinese Theater was the Jingle Bell, Jingle BAM! show that I’ve heard several people rave about – but personally, I was a little disappointed by it. Yes, it’s fun with the Elves and rescuing Santa, and it does have fun montages and music. But overall, there was too much to look at with all the different screens it was playing on, plus fireworks, plus laser light show. I even saw several people watch a bit, then decide to leave before it was done. It wasn’t bad by any means, and there were plenty of folks who loved it – it just wasn’t my cup of tea, I suppose. If you’ve seen it – let us know what you thought in the comments! One thing I really loved was this fun window display, full of dancing ornaments! I believe that at the Hollywood & Vine, they have a special Minnie Mouse Holiday buffet meal, but I didn’t personally go check this out. That’s one drawback to a solo trip – less excuse to take time for real dining! Don’t forget to check out Get Away Today to book your hotel & nab your tickets – use Promo Code: BusyMomsHelper for extra savings! I was most excited to see Epcot during the holidays (other than Magic Kingdom, of course) because I’d heard of the amazing ‘holidays around the world’ displays and such. Perhaps it was just that I was there earlier in the day, but it seemed a big let-down. There was a lot of decor – ginormous tree, plenty of garlands and lights and fun garden characters for the holidays. There was a stage where one of the shows would be (again, I was there earlier in the day – since this was a quick trip I couldn’t fit in everything unfortunately – so I missed the shows). I did see several kiosks that were ‘holiday kitchen’ – featuring some seasonal snacks and drinks. Most of them weren’t open when I was there, though, despite being there until about 2pm. I did enjoy the displays in the various areas, telling a bit about that country’s traditions. Keep in mind that I was there EARLIER in the day, only until early afternoon, so perhaps all the main holiday happenings occur after that – so don’t write off Epcot just yet. And if YOU have experienced some of the festivities at Epcot, please share in the comments! Guys, this is my favorite park (because it has TWO of my FOUR favorite rides – Flights of Passage & Everest)! That being said, it was very limited in the holiday-theming department. And maybe that was intentional, so they could keep the different lands more accurate and true to themselves. There was some decor around, but not much at all compared to the other parks, and just normal (yet still good) music playing. Again, this could be in keeping with the different ‘continents’ and areas, so this isn’t a complaint at all – just giving you a heads up that there’s not a lot of holiday-ness at Animal Kingdom. The main exception seemed to be the entrance, where they had the wreaths, garlands, and large Christmas tree up for plenty of photo opps. It was still great and lots of fun! In ALL FOUR of the parks, you can find special holiday-themed merchandise in the stores – from ornaments and decor, to seasonal snacks and clothing, and much more. They even had a stuffed Stitch with a Santa hat that I wanted so badly to get for hubby, but stuck to my budget. I *did* get two candy apples though to bring home for the family to share – one decorated as a Mickey Mouse Santa. They also had a holiday Jack Skellington (Sandy Claws), Blue Snowflake and others to choose from. The lady at the counter asked if I was planning to take them on a plane, and when I said yes she popped out a sturdy box and packed them extra carefully – so grateful, and they made it home perfectly! Most of the parks were also playing fun Christmas/Holiday music, which really helped put everyone in the spirit of the season! Overall, I absolutely LOVED experiencing the holidays at Walt Disney World, and can’t wait to take my kids there during this season sometime in the future! We’ll, of course, be using Michael’s VIPs for our guides since they’re absolutely AMAZING! What’s YOUR favorite holiday thing at Disney World? Let’s be honest, a trip to any Disney park isn’t exactly ‘cheap’. Yes, there’s plenty of ways to make it more affordable, but it’s not chump change. Take that into account with how much there is to see and do, and it’s obvious that you’ll want to waste as little time as possible standing in long lines. Luckily on our big family trip to Orlando this past fall, my kids were in awe with how much time we actually spent in lines and our family was able to check so much off of our list! You can take advantage of this ‘secret’, too, because I’m sharing How to Avoid Lines at Walt Disney World to make your trip as magical as ours was! Hubby and I tried to keep track of our line time, and we realized that the longest wait time we had the entire trip was 15 minutes – and part of that was because we were willing to wait longer for the back on Big Thunder Mountain Railroad. Other than that, most of our times were simply as long as it took to get from the entrance to where you get on the ride – with an average ride line of 5-10 minutes total. Needless to say, we were thrilled and never had to hear the kids complain about any long lines! We were able to fit in so much on our trip, plus had plenty of down time to just chill and enjoy our family. It was super magical, and it’s all thanks to our friends at Michael’s VIPs with their amazing tour guides who make your trip truly unforgettable and stress-free! You probably remember us praise them before when we shared our experience using their tour guides for a couples-only trip last year, as well as what our kiddos thought of having a guide for a large family vacation. I still don’t know how we loved our Disney trips so much before I met Adam and his team at Michael’s VIPs two years ago, because they not only take so much stress out of tackling reservations, juggling fast passes and knowing where to be when, but they also save so much time in the parks by helping us avoid lines! Seriously, they’re worth their weight in gold when it comes to getting the most out of your vacation. Since they save you so much waiting time by avoiding long lines, we got to relax more and enjoy fun things like photo opportunities, checking out the decor and entertainment, as well as loving tasty snacks. Being amazing in so many other ways, too! Since you can only make THREE fast pass+ reservations at first, then you can do one at a time for whatever may be left, relying solely on those will only save you so much time. These guys and gals know the rides and schedules so well, they can utilize the system to its full potential which saves you a TON of time. Not just for rides, either, but also getting you incredible seats for shows like The Lion King and more! Other than their immense knowledge and quick app-using skills to make the most of the fast pass+ system, they know the park routes like the back of their hand. Renee jokes that they’re ‘walking talking maps’ – and it’s so true! From rides, bathrooms and snacks, to knowing the schedule so you can easily bypass the crowds for a parade or show, they truly help you make the most of your time in the parks to get as much seen and done as you’d like. Go fast or go slow, it’s up to you – they make it work so your trip is as magical as possible! 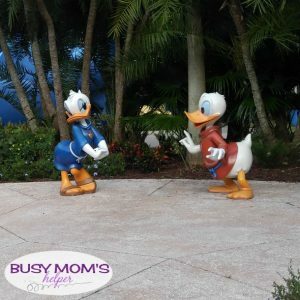 We’d done Disney so many times before on our own, and dreaded standing in line – but this time, the kids had no complaints at all because there was barely ever any wait for us, IF any wait. Honestly, the only time we really had to deal with lines was for Disney World transportation (which Michael’s VIPs can help you with, as well, we just opted to tackle it ourselves). If you’re wanting to avoid lines at Walt Disney World, these guys know all the magic to make that possible. It’s so worth it to have 10 minute or less waits for the rides, amazing seats for shows, plus a super-friendly (I think the kids would’ve taken Renee home if we’d let them) guide to help with every aspect of your trip to really give you the magical Disney vacation you dream of! Not Convinced? Here’s 10 Reasons to Choose Michael’s VIPs! Want to load up on the most important meal of the day AND get a head start on enjoying the most popular Disney attractions before the crowds hit? You gain early entry into the parks by booking a dining reservation for early character meals. Some restaurants in Disney World even allow you to book reservation times for before the park opens. This is the best Secret to Early Entry at Walt Disney World, and here’s how to do it! All the parks are doing it. You can get early entry to any of the parks just by scheduling your breakfast reservation at the right place and time. The most popular place to do this is, of course, Magic Kingdom, but early entry to Epcot can be leveraged to gain quick access to Frozen Ever After, and Animal Kingdom has it’s advantages too, with access to Pandora. Not to be outdone, Hollywood Studios has a character dining experience of its own. This one features Disney Junior characters. With so many rides and not a lot for small children, this breakfast makes a more balanced day for the whole family. Magic Kingdom: Magic Kingdom has two types of character meals. You can enjoy a multiple course feast at Cinderella’s Royal Table, where princesses will greet you as you dine. Also, you can enjoy a breakfast buffet at Crystal Palace and meet Pooh and his friends from the 100 Acre Wood. My personal favorite pre-park-opening breakfast to do isn’t a character, but still gets you into the park early – Be Our Guest restaurant! Hollywood Studios: There is only one early entry restaurant available here, and I haven’t tried it myself. Hollywood and Vine is a character buffet that features Disney Junior characters. The food is meh from what I’ve heard, but kids love it for the characters and it gives you a chance to hit up some of the thrills early in the day. Animal Kingdom: The character experience at Tusker House is headlined by Donald in safari gear, and it’s a must-do every time I visit. You’ll also find Goofy bouncing from table to table. The buffet features traditional breakfast foods for the general audience, plus some African options for a little cultural flare. The juice is AMAZING, too! Book your reservations as early as possible – as early as 180 days, if you can. Make sure at that time, you have a very solid idea on paper of what parks you plan to visit and when. Securing these meals will be the next step in solidifying the path of your itinerary. By taking this step, you open up opportunities by having access to big attractions during the parks opening hours. You can then structure your day to benefit you as the park becomes busier. There will be a specific gate for early entry that you will need to go to. I’ve learned this is often to your LEFT as you face the gates. They will let you in as early as 7:30 so you can be at the restaurant by 8:00. I don’t recommend relying on the bus to get you there at the earliest. Depending on where you are staying it may be best to use Uber or Lyft, just to ensure you don’t arrive late. Save yourself some time by having them take you to the contemporary rather than the Ticket and Transportation Center, if Magic Kingdom is your destination. From there it is just a short walk, rather than waiting for a ferry or monorail. What’s your favorite Walt Disney World breakfast? Of all the amenities provided in a Disney World resort, perhaps the most utilized are the resort swimming pools. Not all of the resorts have a pool that is super awesome, but lots of the Disney resort swimming pools have cool themes. There are few that are extra special, though, and today we’re sharing the Best Resort Swimming Pools in Walt Disney World with these five most awesome pools on property. This very large resort swimming pool, themed to Finding Nemo, is a big hit with kids. The primary feature of this pool is the underwater speakers – everybody should try it out! It’s also enormous and has other nearby water pods and splash areas for the kids. The Big Blue Pool is one of Art of Animations biggest selling points. The main pool at the Grand Floridian 1-ups the original main pool, which is now the courtyard pool. This pool features a beach inspired zero-depth entry and views of the Seven Seas Lagoon. The theme here is natural springs, and waterfalls add to the rocky landscape around the 181 foot long water slide. Not the biggest pool, but a popular favorite. This pool has so much character and reinforces the laid back charm of Port Orleans Riverside. The abandoned saw mill theme is worked into the pool’s water slide and centerpiece, which add some mystery and character to the pool. One of the best themed resort swimming pools, the Lava Pool is similar to the Beach Pool at the Grand Floridian, with zero-depth entry and a waterslide. 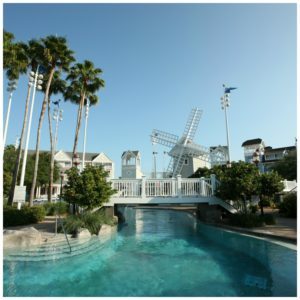 This beautiful pool area features a towering volcano and is right on the marina overlooking Seven Seas Lagoon. The best of the best, according to many – Stormalong Bay has no competition when it comes to the best resort swimming pools. The sand bottom pool offers fun that the other pools don’t. With one of the highest water slides amid a life-size shipwreck replica, an elevated tanning deck and a lazy river, there is a reason for every guest to stop by and cool down! What’s your favorite pool at Walt Disney World? I was a bit nervous before our recent trip to Walt Disney World, as one of our sons was wearing leg braces, so would be limited in his physical abilities. Luckily, it turned out amazing – and today I’m sharing Our Experience with Disney Parks Disability Access Service (DAS) in case you’re as unfamiliar with it as I was! First of all, keep in mind that disabilities come in all sorts of shapes, sizes and needs. If your disability requires/recommends a wheelchair, no need to stress because you actually don’t need a Disability Access Service (also known as DAS) pass, because almost all the lines are made to accomodate wheelchairs already. If there is a ride that doesn’t, they’ll arrange that for you at the ride entrance and make sure you’re taken care of. Your needs and solutions may be different than ours, but just check with Guest Services inside the park when you arrive and they’ll answer any other questions to give you the best solution possible. Our particular need was that Thor was in leg braces (has to wear them 23 hours a day), and while he needs to be walking in them normally, he can’t stand still for long periods of time. This made lines a real worry – but when we swung by guest relations, they were fantastic and helped us find the best way to help our needs. They gave us a DAS pass, where Thor was the main person on the account, then everyone in our group was added onto it under him. With this service, we could go to the entrance of a ride and ask for a DAS return time. They’d scan one of our bands, ask how many of us were going (all, or just some) and give us the time we should return to the fast pass entrance. The return times equalled the current wait time, so while we weren’t getting on the ride faster, it saved him from having to STAND in a line. We could go sit while we wait, or do a shorter ride, or see a show. When it was time to go back, they just scan Thor’s MagicBand to the fast pass scanner, then once it clears the rest in our party that were authorized under his DAS pass could scan ours and go as well. But the person with the DAS pass needs to scan first. You’re only allowed to do this for ONE ride at a time – and you can go at your return time or anytime LATER in the day. But keep in mind that until you use that one ride, you can’t get another DAS return time for another ride. It basically HOLDS your place in line during that time, without causing him to be in the actual line. Another important part – the main person (that has the need for the DAS) is required to go on the ride you have the time for. For example, he didn’t want to do Tower of Terror again, so we didn’t/weren’t able to get a return time for that since only some of us were going, and not him. We just did the normal line, since we didn’t have his need to not stand to worry about. I almost cancelled our trip because I was so concerned about how he’d manage with those lines and standing still so long, but I’m so grateful I didn’t because it was a wonderful vacation! He did great, the staff was so patient with him (occasionally he took a bit longer walking or getting in/out of rides due to his leg braces) that it worked out as perfectly as we could have hoped. Any other tips for disabilities at the Disney Parks?